In the most fucked up story of domestic violence this year, Tyler Texas's own Christopher Lee McCuin, 25, murdered his girlfriend Jana Shearer, 21, on Saturday, sliced her up and began cooking her body parts. 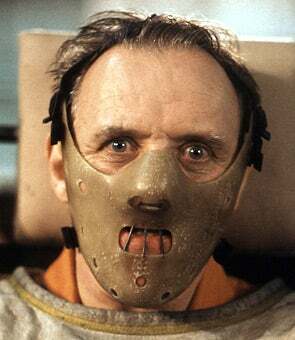 It's unclear whether or not he pulled a full blown Hannibal Lecter and ate her, but according to the Associated Press, "When authorities arrived at the home, they found Shearer's mutilated body, one ear boiling in a pot of water on the stove and a fork sticking out of some human flesh sitting on a plate on the kitchen table." McCuin called the authorities on Sunday to turn himself in, but not before showing his mother and her boyfriend Shearer's mutilated body, which McCuin was keeping in their garage. County Sheriff J.B. Smith says McCuin wanted his mother to "come see what he had done." But it gets even more fucked up! After McCuin filleted his girlfriend, he drove over to the home of his estranged ex-wife and stabbed up her boyfriend. The boyfriend is currently in critical condition at the hospital. You've got to wonder what kind of completely deranged freakshow would commit this sort of heinous crime. Court TV's Crime Library says that traditional explanations for this sort of thing "include childhood abuse, genetics, chemical imbalances, brain injuries, exposure to traumatic events, and perceived societal injustices," though it's hard to know what lethal combination of the above creates a psychopath. All I know is that the boiling ear image is totally going to haunt me for the rest of the day. Happy Monday!